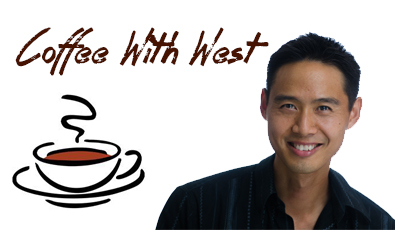 Emotional Mastery | West Loh on Leverage, Automation and Outsourcing Strategies, 100% Free! By now hopefully you’ve identified some of the deeper issues that may have caused your financial situation. The good news is, IT IS NOT YOUR FAULT. So, if you know that blocks are nothing but limiting generalizations that are holding you back, then how do you remove them? How do you collapse the blockage ‘tables’ that have formed within your subconscious mind? The answer is to remove the legs that hold the table up! Most blocks have formed as a result of modeling the significant people around you – like your parents, teachers and friends. If your parents believed that they could never be rich, you are likely to have taken on those beliefs yourself, whether you wanted to or not. Remember, the beliefs you have are nothing but perceptions and interpretations you make about these past experiences. However, after a while, you forget they are merely perceptions and begin to accept them as absolute truths. That is when they become commands embedded in your brain, and begin to determine how you live your life. While some of the beliefs actually empower you, many of them severely limit you. This is the area most people neglect, and we’re going to spend some SERIOUS time with you in this program to ensure you never let this side slip. The reason is… because we believe it to be EQUALLY as important for success as the other two, and most people COMPLETELY NEGLECT or are simply UNAWARE that this is missing. How do you tell if you’ve been neglecting this area of the triangle? Simple – Lack of results. But you’re working really hard. You just don’t know why but you know something is holding you back. You have all the ‘knowledge’, and all the ‘tools’ to get results, but years go by and your annual pay cheques year after year – for the last decade – remain within 5% of each other. This side of the triangle refers to all the KNOWLEDGE and learning you have immersed yourself in. Are you someone who is always reading about ‘how to’ do something? For example – how to trade shares, how to invest in property, how to create an online business, how to improve your relationships, etc etc etc? Do you or have you attended seminar upon seminar on wealth creation, finances and relationships? Are you constantly listening to audio programs and reading books on ‘how to’? The person who focuses too much on this area becomes almost a walking encyclopedia of information. With ZERO results. The funny thing is, they keep searching for more information, immersing themselves in more and more information and creating a vicious cycle where they become more educated but financially worse off. Somehow, they manage to justify that this is ok. The very fact you are reading this proves you already have a very strong ‘Mental’ side to your triangle. I’m not suggesting for a second that you are in the above cycle, but many of you reading this will be able to relate to it. Although we’ll be refining your mental sharpness in this program, it’s NOT going to be our focus to throw more information at you. In fact, if anything you’ll be STOPPING searching for more ‘how to’ information so that you can start EXECUTING. With the other two sides of the triangle in balance, you’ll be able to finally do so – and that’s what separates this program from all the other ‘money making’ programs on the market (they all fail to address the emotional side). This site has been put together to guide you through the process he and many others have used to take monumental leaps in income. We’ve included many of the steps, resources, hints and tips that were discovered along the way. The key foundation on which this entire program relies on is known as the MEP success triangle. In fact, mastering all the areas of the triangle is essential if you desire true success in any area of your life. There are 3 sides to the success triangle. This usually means a house by the beach, lots of free time walking on that beach with the partner of your dreams, lots of travel and a luxury boat and car as well. The harsh reality is….. over 95% will NOT have enough money saved to even fund a retirement that maintains their current standard of living. Hundreds of thousands of hard-working citizens will not be able to fund a retirement plan that’s barely even more than welfare. What makes this utterly ludicrous is that the planners, financial institutions and governments know it. How To Find Motivation That Juices You……..Permanently! The motivational material out there is many and varied. You’ll find thousands of books and programs on the topics and seminar speakers everywhere talking about it. But motivation implies that it’s a temporary emotional state. That’s why you feel energised after reading a book or attending an event, but the next day it wears off and you’re back to where you started. I believe it comes to finding your deeper core motivations, ones that aren’t affected by day to day activity. Jim Rohn once said ‘If you find the why, the how becomes easy’. And that’s exactly what I’m referring to.